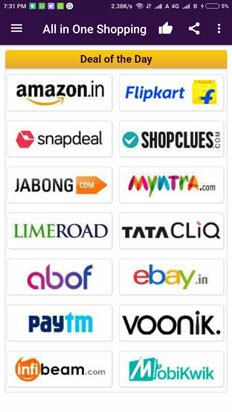 Shop from 50+ top Indian shopping sites grouped under 10+ Categories. 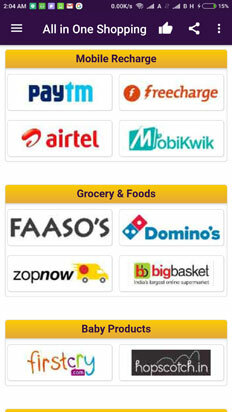 A must have app to shop from 50+ top Indian online shopping sites grouped under 10+ Categories. 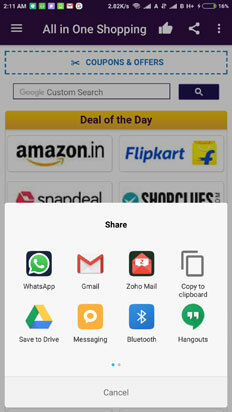 1 app = 50+ sitesSave Phone Memory - use this single app to shop fromm more than 50 sites. 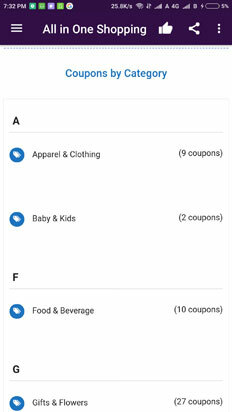 Coupon CodesSave more money by using couponcodes & deals from top shopping sites. 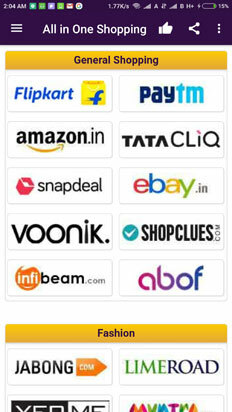 Handpicked DealseXclusive deals handpicked by Shopping geeks for you from best shopping sites in India. 100% AD FreeSurf with peace of mind - no ads to annoy you. 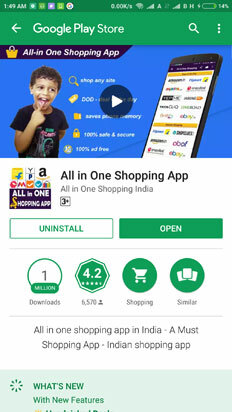 10,00,000 + DownloadsThe most trusted app with Million+ Downloads on Google Play Store. 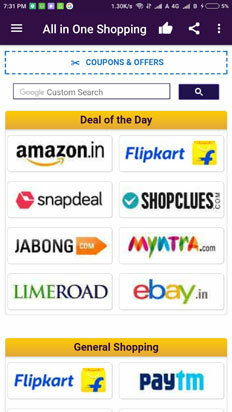 Deal of the DayCheckout Deal of the Day from Top shopping sites. No need to visit multiple sites everyday. Live CampaignsDon't miss LIVE Campaigns! 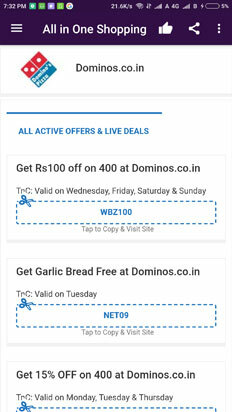 - Be updated with LiveCampaigns announced by top shopping sites. 100% Safe & SecureWe don't collect any data, no additional permissions required. Your shopping is 100% Safe, Secure & Private. Find latest discount coupons and offers from top shopping sites in India. Get the right promo codes and coupon codes for 2017. 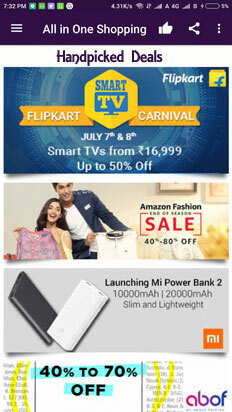 Checkout eXclusive handpicked deals everyday - Handpicked by Shopping geeks for you from best shopping sites in India. 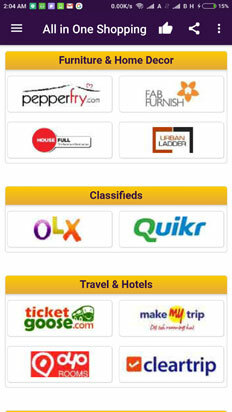 Have a look at consolidated offers & campaigns that are currently live on top Shopping sites for easy shopping. 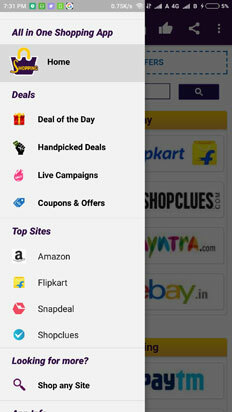 It's nice coz all shopping sites are available in one place and also consume very low space in phone ??. Bestest app evr seen. 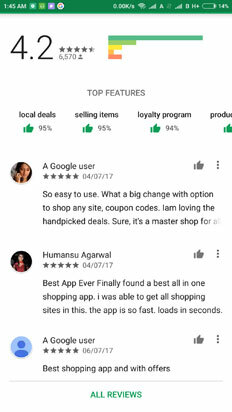 .... All major shopping apps I lve it ...The creator is the best ..lv u. 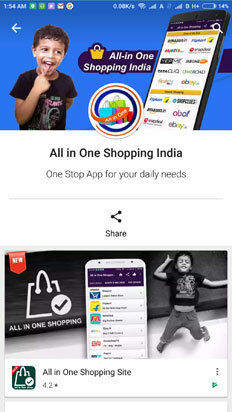 Very good app for those who wants to access all the shopping apps in their mobile phone . 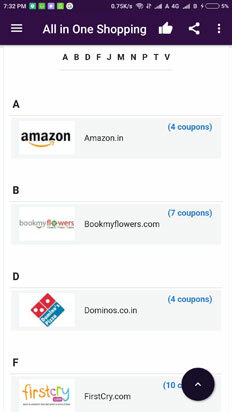 A One Stop to Shop from 50+ Online Shopping sites with Deals, Couponcodes & more. Now available on Google Play Store in Light & Full Version!